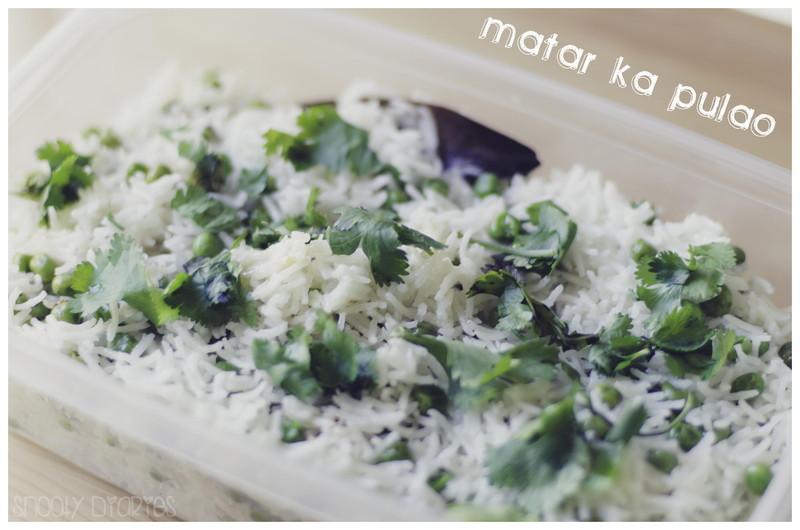 Matar ka Pulao (Rice with Peas) is a popular Indian recipe. It is a very simple dish which perfectly compliments most Indian curries. I learnt this recipe from my mother-in-law, who btw is a very good cook. 1. Heat oil in a non-stick saucepan. Once the oil is hot, add bay leaf and Cinnamon stick. Let it fry for a few seconds till the bay leaf starts changing its color. 2. Add peas and salt to the pan. Saute it for 2-3 mins. 3. Add rice and water. Cover the pan with a lid. Let it cook till rice is done. 4. Garnish it with fresh coriander leaves and serve hot. This entry was posted in FOOD, indian, Recipes and tagged FOOD, indian, matar pulao, pulao, Rice. Bookmark the permalink.